I know getting in shape is the number one new year's resolution for a lot of my friends and I wanted to share with you guys one way you can get your metabolism up and running. Now we all know if we want to lose weight our metabolism has to be working and working right. It shouldn't be slow since that means we'll have a hard time losing weigh and it shouldn't be fast either since that means we can't gain weight whatever we eat, it should be right there in the middle. As we tend to age, many people's metabolism begins to slow down making it harder to lose weight as we age. But there is one way to get your metabolism running and it's by having a protein shake within 30 minutes of waking up. Because you can't skip breakfast! It will make you eat twice as much at lunch and makes your body go into starving mode and store the fat for fuel later on. Protein is the foundation for great for skin, nails, and hair. 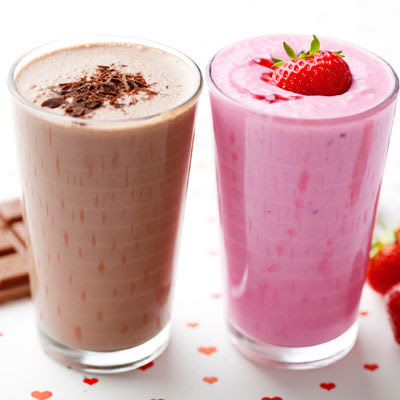 The protein shake will keep your sugar levels in a balanced mode which allows you to burn stored fat instead. It will also increasing energy levels right away. There are numerous natural protein shakes and recipes that you can find at your local grocer, online, or in diet books. Look for one that is preferably natural, organic, low-cal, and of course tasty. I'll post some good recipes for you at a later time. Keep your eyes out for that. I wanna know, have you ever tried protein shakes as a method for losing weight? What was your results?